New to town? On vacation? Trying out a new spot in town? Our absolutely charming old school Brooklyn Meat is the shirt for you. The back is pure awesome!! Fresh Meat! Surprise your buddies when you score those bangin' hotties in this perfect shirt. 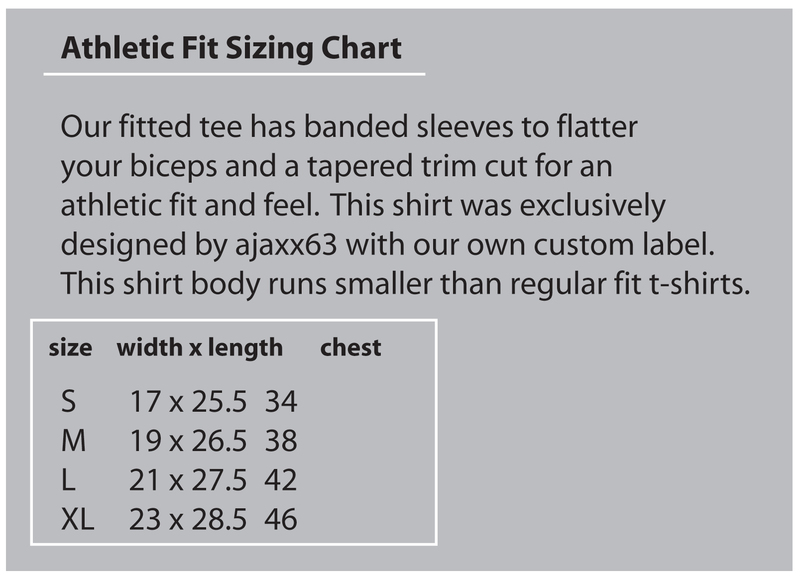 1-color, silk-screened graphic on a royal blue, custom-sewn, athletic-fit shirt with banded sleeves for ajaxx63. Our shirt is softer and of higher quality than our competition and is nothing short of amazing. It hugs the biceps, won't lose its shape due to its stretch banded sleeve, and shows off what needs to be shown off in pure ajaxx63 style.